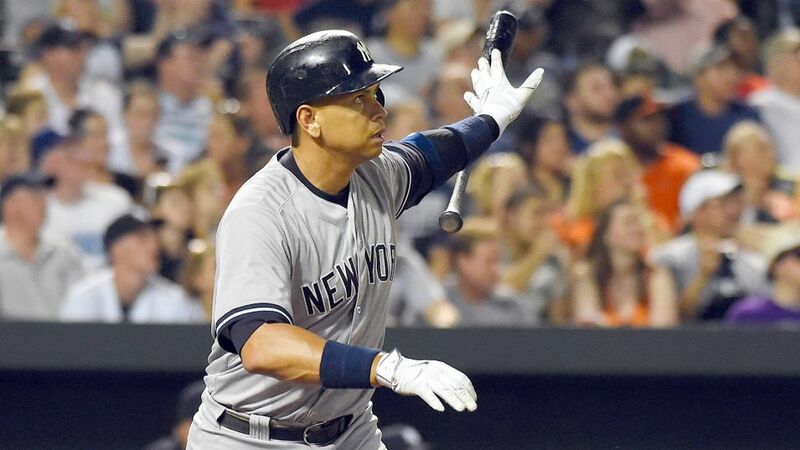 After winning 7 of 8 games, the Yankees squared off against division rival, the Baltimore Orioles for a weekend series. In a disappointing series, the Yankees lost 2 of 3 to the O’s and their first place lead over a generally hot AL East has diminished. After 8 games off and 10 days of rest, Michael Pineda returned to the hill in game one of a big series. Surprisingly, extra rest was ineffective for Pineda as he failed to get through 5 innings. Pineda was roughed up including allowing a 3-run home run to Chris Davis in the 3rd inning as Pineda allowed 9 hits, 6 runs (5 earned), while walking 2 with only 2 strikeouts across 4.1 innings pitched. The climax for Yankee fans alike came off the bat of Mason Williams in his second career at bat. After striking out in his first at bat, Williams crushed a two run home run to make it a 5-3 Orioles lead. The Yankees failed to score after that but Alex Rodriguez and Mark Teixeira each had 2 hits with Chase Headley and Brett Gardner collecting one. For a second game in a row, the Yankees starting pitcher was ineffective once again in game two. CC Sabathia went 5 innings allowing 8 hits and 4 runs all eared. He didn’t walk anyone and struck out just three hitters. Although it wasn’t a very productive outing, CC kept the Yankees in the game and received the no-decision thanks to a 2-run A-Bomb from A-Rod as he drove in his 2,000th and 2,001st career runs to tie the game up in the sixth inning. Chase Headley had a solid day going 3-5 while Mark Teixeira and Brian McCann both went 2-4 with a double apiece. 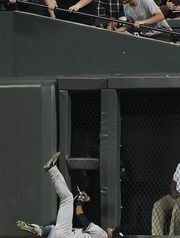 Mason Williams made the play of the year thus far for the Yankees when he robbed Matt Wieters of a potential double or triple as Williams covered a ton of ground in center field and made a fearless sliding catch into the wall in center field. Luckily, he stayed in the game but going all out to make the catch was impressive. The bullpen of Chris Martin and Sergio Santos absolutely imploded for the Yankees as they pitched three innings allowing 5 total runs. Chris Martin came in for the 6th inning in his first appearance since May 8th. Chris Martin had as ineffective an outing as they get as he threw 3 wild pitches in one inning. He also surrendered 4 hits and 3 runs, all earned to break the game open. In a non-pressure situation, the Yankees turned to recently acquired and called-up Sergio Santos. Santos also had his struggles as he allowed a home run to the first batter he faced. Across two innings, Santos allowed 3 hits, 2 runs (both earned) and struck out one. The game that was at one point tied due to an A-Bomb turned into an ugly Yankees loss. Looking to avoid the sweep, the Yankees handed Adam Warren the ball who was riding 4 straight solid starts. Unfortunately, Warren didn’t have his best stuff as he lasted just 4.2 innings allowing 6 hits and 3 runs, all earned. He was relatively wild with 3 hits but had the strikeout pitch working as he collected 5. Girardi then turned to Chasen Shreve who exemplified his standing as the Yankees third best reliever behind Betances and Miller as he went 1.1 innings walking just one and striking out one. Justin Wilson took care of the 7th and 8th innings as he was as sharp as he’s been. Wilson didn’t allow a hit and struck out 3 Oriole batters. Dellin Betances picked up his 3rd save of the season walking one and striking out one batter in the 9th. The Yankees received contributions across the board as just about everyone had a hit. John Ryan Murphy was a standout as he went 3-4 including a 2-RBI double in the 5th inning. Stephen Drew went 2-5 with a double and every other starter got a base hit except A-Rod and Mason Williams. In an incredibly long game, the Yankees avoided the sweep with a 5-3 win. The Yankees didn’t get much help from their starting pitching in any of the three games but in two out of the three, the Yankee starters kept the team in the game. CC wasn’t sharp but gave us a chance to win if the bullpen hadn’t imploded and Warren wasn’t necessarily effective but was one out away from getting the win for himself before the bullpen shut down the Orioles. Going forward, the Yankees must get more contributions from their starting pitching which will help when Ivan Nova returns in what I predict will be Friday. Mason Williams flashed power in his first game hitting a home run as his first career hit. In games two and three, he flashed the leather and his speed, but his bat disappeared. 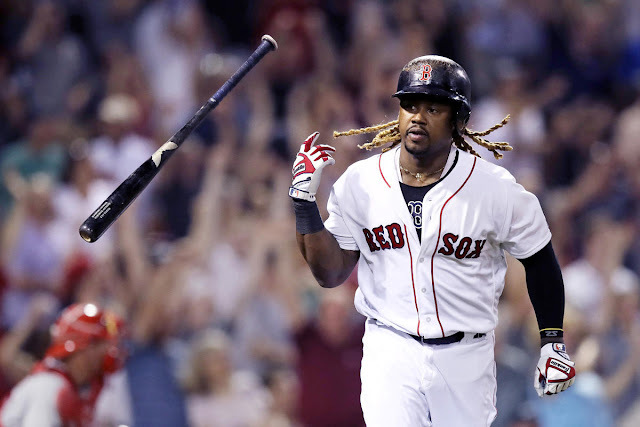 If he wants to stay in the lineup, he’s going to have to hit the ball better, but his defensive ability is impressive. Alex Rodriguez is 5 hits away from 3,000 for his career and with an 8 game home stand coming up, expect him to reach the milestone in the Bronx. Mark Teixeira is a dark horse MVP candidate this season. Yes, you read that right – and if you’re not a believer yet, you should be. Teixeira leads the American League in RBIs with 47 and he’s tied for second in home runs with 17. His batting average is up to .256 as he’s more than deserving of an All-Star appearance. And of course, his defensive efforts have been noted as spectacular all season long as he made just his first error of the season this weekend. The Yankees will begin a 4 game series with the Miami Marlins in which the first two will be in Miami before the next two in the Bronx. Game one is likely to feature Masahiro Tanaka (4-1 2.48 ERA) vs. Tom Koehler (4-4 4.00 ERA). 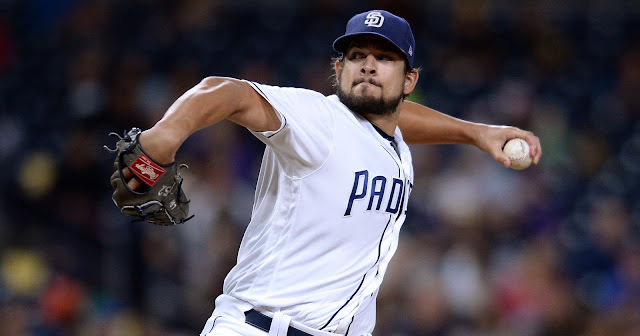 Game two should be interesting as the probable starters are the two pitchers that were included in the same trade as the former Marlin Nathan Eovaldi (5-1 4.13 ERA) will go up against the former Yankee David Phelps (3-3 4.11 ERA). The probable starters for game 3 are Michael Pineda (7-3 3.74 ERA) vs. Jose Urena (1-2 4.44 ERA) although it is still to be determined for the Marlins. The probables for game four are undecided but assuming each team continues a consistent starting rotation, CC Sabathia (3-7 5.38 ERA) will go up against Mat Latos (2-4 5.44 ERA). The Yankees look to get back their winning ways against a sub-par Miami Marlins team. 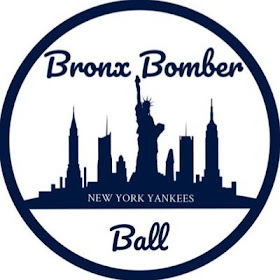 Follow our blog on twitter @BronxBomberBlog for more updates, analysis, news, live game tweets, humor and all things Yankees! loved the recaps. I have a question for you, what do you think of Gregorious? I was kind of frustrated with his performance today... and ever. Thank you Elle! I'd also like to thank you for your interactions on our blog with comments and such. As far as Didi Gregorius goes, I've been saying it all along that he's a one year experiment in my mind. With Ian Desmond becoming a free agent following this season, I don't want to say I fully expect him to become a Yankee but it isn't too far-fetched to assume he might be. In the event he doesn't, the Yankees may always look to the market for another shortstop in 2016. As of right now, Gregorius is certainly hitting the ball better in June and his glove hasn't necessarily hurt the team of late. I still think he has the lowest baseball IQ on the team which may come from his youth but he does have potential. We'll see if he can continue hitting well and maybe he can establish some longevity in New York, but I doubt it.